This is a rectangular curved Reward porcelain sign. This particular Reward sign is white with red text. 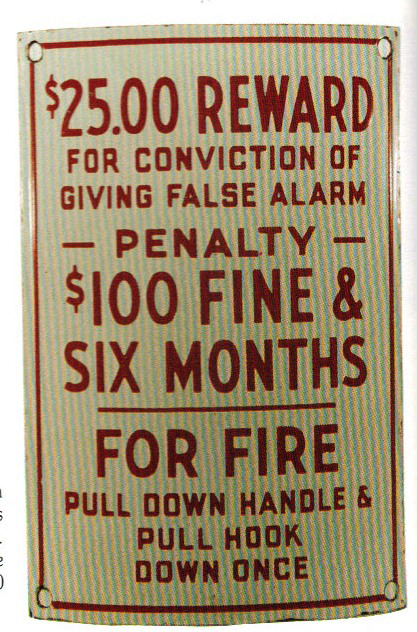 It reads, “$25.00 Reward For Conviction Of Giving False Alarm, Penalty, $100 Fine & Six Months, For Fire Pull Down Handles & Pull Hook Down Once”.